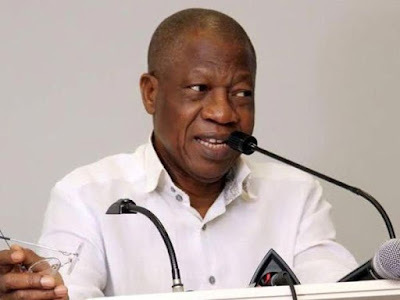 The Minister of Information and Culture, Lai Mohammed, has restated the Federal Government’s commitment to the freedom of the press, saying the media has nothing to fear from the present administration. “The media has nothing to fear from the government. But on the contrary, we are the ones that cannot sleep with our eyes closed because of the media,” he said. Mr. Mohammed, who said the government always takes criticism from the media in good faith, however, appealed to the media to be fair and constructive in its criticisms. “Like I always say, this government will never stifle the media. We take so many punches everyday from the media. We are not saying please don’t criticise us, do criticise us, but please do your own homework thoroughly also and be fair to us. That’s all we are asking. Please criticise us on facts and not on emotion,” he said. Mr. Mohammed said the administration succeeded in preventing a total collapse of the economy and has returned the country to the path of economic growth and sustainable development. In her remarks, the Executive Director of IPI, Barbara Trionfi, said she is in the country to interface with media professionals towards the successful hosting of the forthcoming congress. She commended the government for its efforts towards promoting press freedom and the safety of journalists in the country, and tasked the media industry to look beyond business rivalry and competition in order to cooperate and promote the core values of journalism. Ms. Trionfi was accompanied on the visit by the Chairman of IPI Nigeria and Publisher of Media Trust, Kabiru Yusuf; former Director-General of the Nigerian Television Authority, Tonnie Iredia, and the Secretary of IPI Nigeria, Raheem Adedoyin, among others.